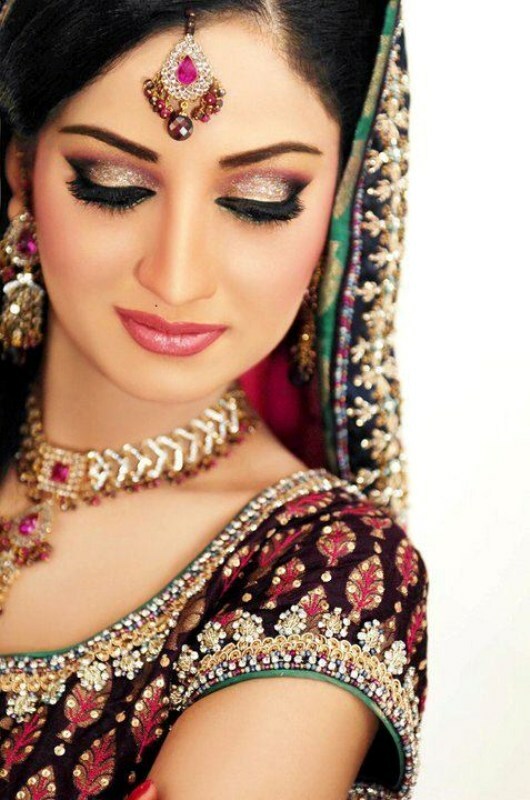 There is no harm in doing your own makeup on the wedding day but for that you should have a clear idea of what suits you and brings out the best in you. If your answer is yes then voila, you are all set take things in your own hands. Remember that your D day’s makeup has to last all day and should photograph well, both indoors and outdoors. If you are not sure on how to go about it, then you can take a few tutorial sessions from a makeup expert. Once, you are sorted on that front, pick a look that you want to have. Summer wedding season of 2015 is all about being bold and experimental and at the same time fresh looking. Summer brides should keep their makeup light and focus on having flawless looking skin. 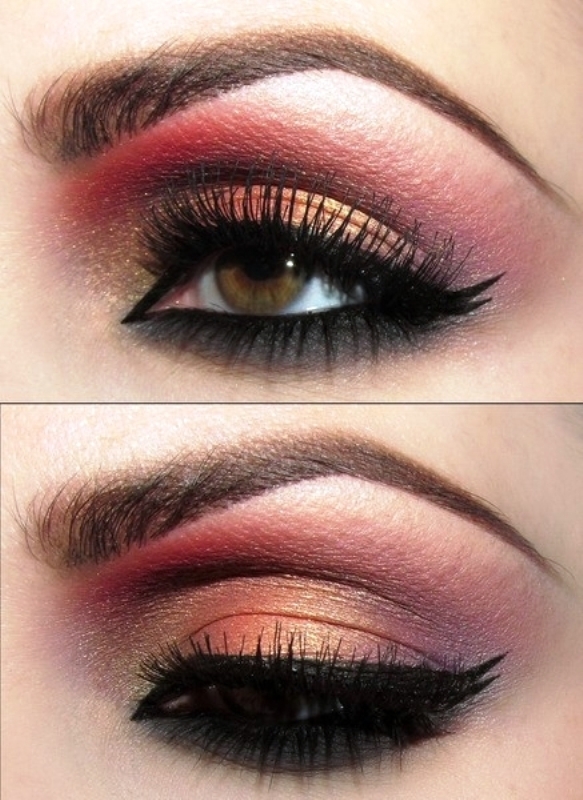 Some of the new eye makeup trends include use, of eye shadow colors such as copper brown, rust, ink blue and burgandy. 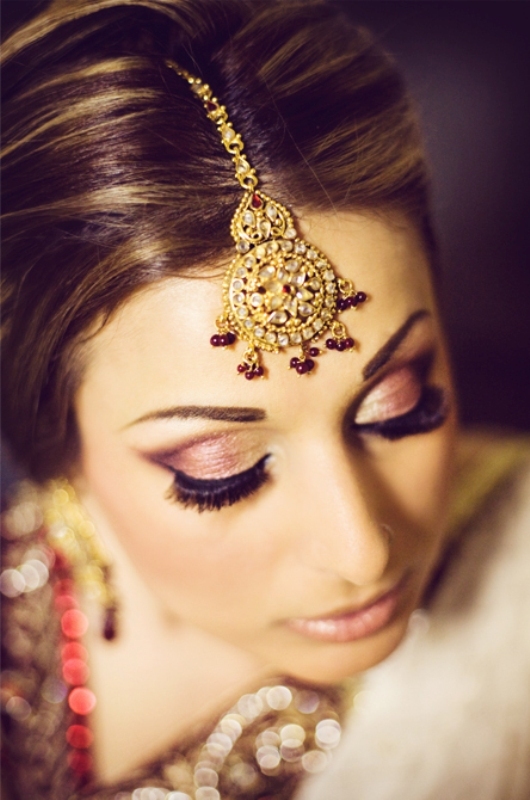 Kajal is a must have for brides and so is the mascara. Instead of liquid eyeliner, prefer waterproof gel liners as they are less likely to smudge because of humidity or water. Below are 4 easy steps to ace the summer bridal eye makeup look. Step 1: Prep your eyes with eye primer and follow it with foundation and concealer. Creating a perfect base around the eye area is as essential as the rest of the face. Since eyes are the focus area of the entire look, you don’t want puffy and tired looking eyes. Doing this will also ensure that your eye shadow and eyeliner stay put for the longer time and look fresh. Step 2: Accentuate your eyes by starting with an eye shadow. Smokey look has been in vogue ever since it was first seen and now has many variations. 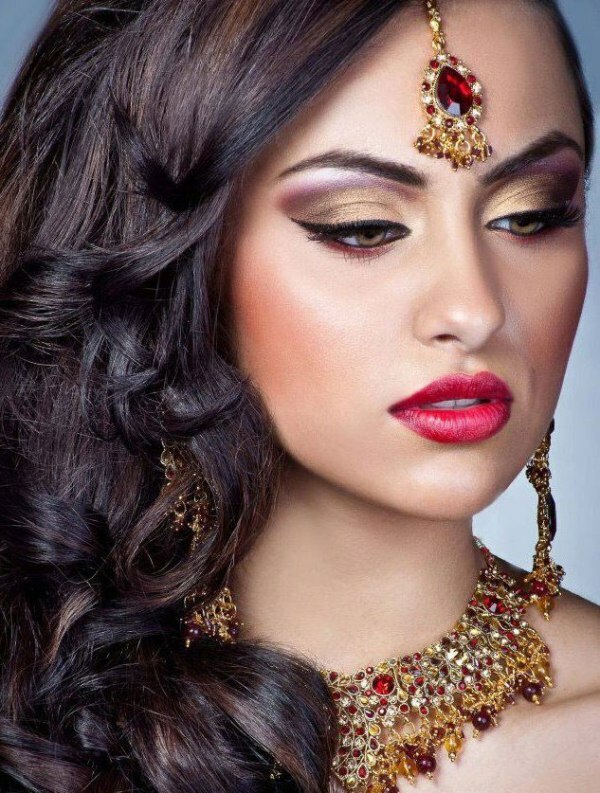 This look can also be incorporated on your wedding day by using shades of rust, copper brown, gold etc. These colors compliment a bride’s jewelry and heavily embroidered clothes perfectly. Take a flat eye shadow brush to apply eye shadow and blend it with a fluffy dome shaped brush. Note that darker colors should be applied at the crease and then to soften harsh lines use a highlighter up to the brow bone. Once done, step back and see if you have used the right amount of color and adjust accordingly. Step 3: Define your eyes with kohl and follow it with eyeliner. Prefer black kohl as it adds the necessary amount of drama in your look. For the upper lash line, you can either simply line it with a gel liner or create a 50’s style winged effect. If you are not a pro at creating winged look then make this step 2 as you may have to redo the flick a couple of times. Step 4: The final step is to work on the lashes by curling them with an eyelash curler and follow it with mascara. If you are planning to use false lashes, look down into a hand mirror and position them carefully. Once the glue is dry use the eyelash curler followed by mascara. To perfectly apply mascara, start from the roots and wiggle as you go up. This will keep the lashes separate. You can experiment with various looks and colors as per your preference. Just remember to use colors that don’t match your outfit instead compliments it and your skin tone too!